Creative two-color circles construct a unique fabric perfect for this fun bag. 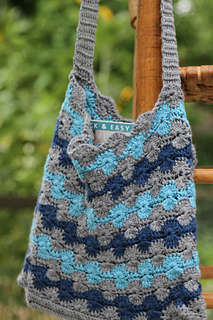 The roomy size, simple button closure, and comfortable double crochet strap will make this your go-to bag this season. 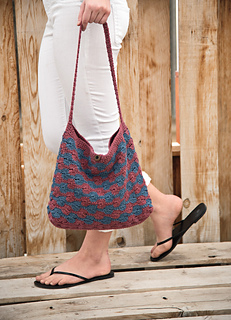 Because the recycled cotton is sturdy, durable, and washable, it’s an ideal fiber for a bag that will be used often.